Draft: 2004, New York Mets, 9th rd. October 23, 2016 Tomateros de Culiacan placed 1B Mike Carp on the reserve list. October 11, 2016 1B Mike Carp assigned to Tomateros de Culiacan. April 1, 2016 Norfolk Tides released 1B Mike Carp. 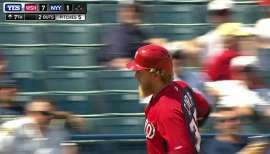 March 14, 2016 1B Mike Carp assigned to Norfolk Tides. March 7, 2016 Baltimore Orioles signed free agent 1B Mike Carp to a minor league contract. May 7, 2015 Oklahoma City Dodgers released 1B Mike Carp. April 26, 2015 1B Mike Carp assigned to Oklahoma City Dodgers. April 25, 2015 Los Angeles Dodgers signed free agent 1B Mike Carp to a minor league contract. April 6, 2015 Syracuse Chiefs released 1B Mike Carp. 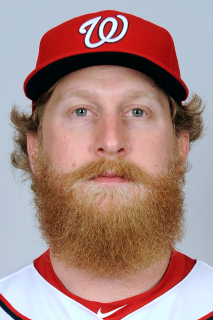 January 19, 2015 1B Mike Carp assigned to Syracuse Chiefs. January 12, 2015 Washington Nationals signed free agent 1B Mike Carp to a minor league contract and invited him to spring training. September 29, 2014 1B Mike Carp elected free agency. 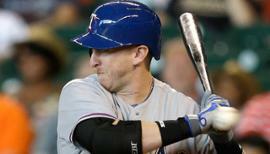 September 4, 2014 Texas Rangers sent 1B Mike Carp outright to Round Rock Express. August 30, 2014 Texas Rangers designated 1B Mike Carp for assignment. 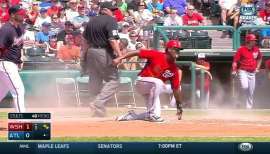 August 4, 2014 Texas Rangers activated 1B Mike Carp. August 3, 2014 Texas Rangers claimed 1B Mike Carp off waivers from Boston Red Sox. August 1, 2014 Boston Red Sox designated 1B Mike Carp for assignment. July 7, 2014 Boston Red Sox activated 1B Mike Carp from the 15-day disabled list. June 27, 2014 Boston Red Sox sent 1B Mike Carp on a rehab assignment to Pawtucket Red Sox. February 20, 2013 Seattle Mariners traded 1B Mike Carp to Boston Red Sox. 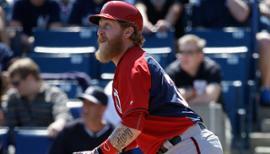 February 12, 2013 Seattle Mariners designated Mike Carp for assignment. September 4, 2012 Seattle Mariners activated LF Mike Carp from the 15-day disabled list. August 27, 2012 sent LF Mike Carp on a rehab assignment to Tacoma Rainiers. August 14, 2012 Seattle Mariners placed LF Mike Carp on the 15-day disabled list retroactive to August 13, 2012. Strained left groin muscle. July 24, 2012 Seattle Mariners activated LF Mike Carp from the 15-day disabled list. July 12, 2012 sent LF Mike Carp on a rehab assignment to Tacoma Rainiers. July 9, 2012 Tacoma Rainiers sent LF Mike Carp on a rehab assignment to High Desert Mavericks. July 4, 2012 Mike Carp assigned to Tacoma Rainiers from Seattle Mariners. June 13, 2012 Mike Carp roster status changed by Seattle Mariners. May 1, 2012 Seattle Mariners activated LF Mike Carp from the 15-day disabled list. April 13, 2012 sent LF Mike Carp on a rehab assignment to Tacoma Rainiers. March 29, 2012 Seattle Mariners placed LF Mike Carp on the 15-day disabled list. Sprained right shoulder. July 18, 2011 Seattle Mariners recalled Mike Carp from Tacoma Rainiers. July 3, 2011 Seattle Mariners optioned Mike Carp to Tacoma Rainiers. June 8, 2011 Seattle Mariners recalled Mike Carp from Tacoma Rainiers. March 14, 2011 Seattle Mariners optioned Mike Carp to Tacoma Rainiers. September 22, 2010 Seattle Mariners recalled Mike Carp from Tacoma Rainiers. June 27, 2010 Seattle Mariners optioned Mike Carp to Tacoma Rainiers. June 7, 2010 Seattle Mariners recalled Mike Carp from Tacoma Rainiers. March 25, 2010 Seattle Mariners optioned Mike Carp to Tacoma Rainiers. September 1, 2009 Seattle Mariners recalled Mike Carp from Tacoma Rainiers. July 3, 2009 Seattle Mariners optioned Mike Carp to Tacoma Rainiers. June 17, 2009 Seattle Mariners recalled 1B Mike Carp from Tacoma Rainiers. June 17, 2009 Seattle Mariners activated 1B Mike Carp.